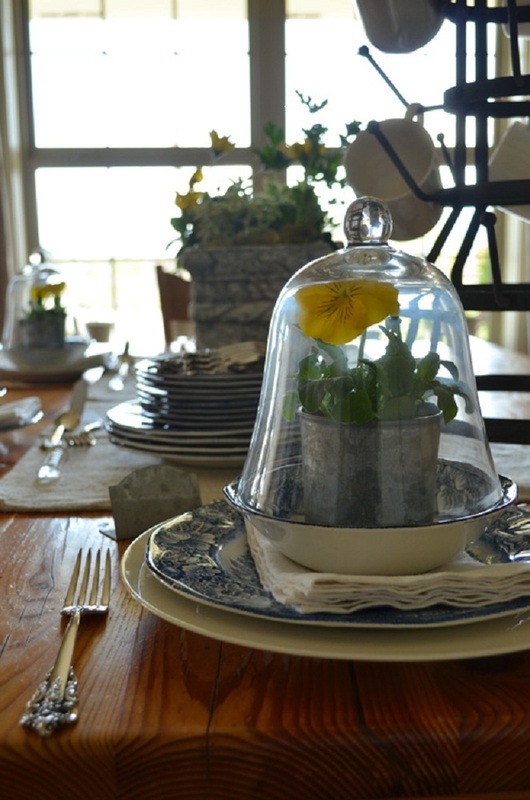 With Mother’s Day approaching, what a perfect time to take out those special items that make a table beautiful! 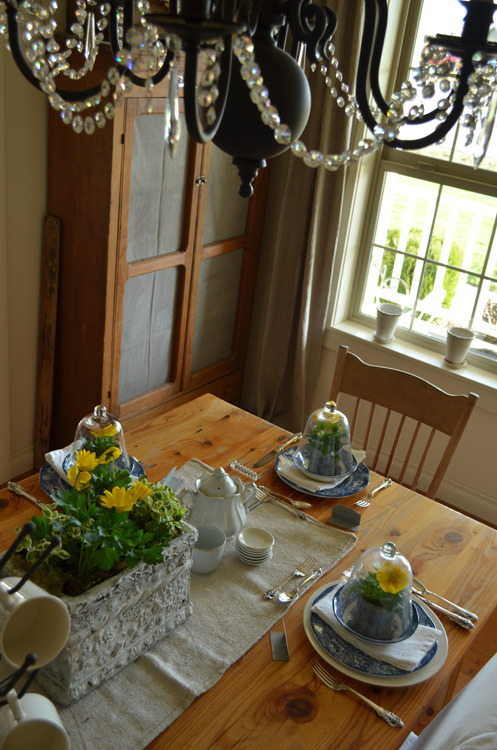 And what a better way to celebrate Mom, than bringing out the things she loved. 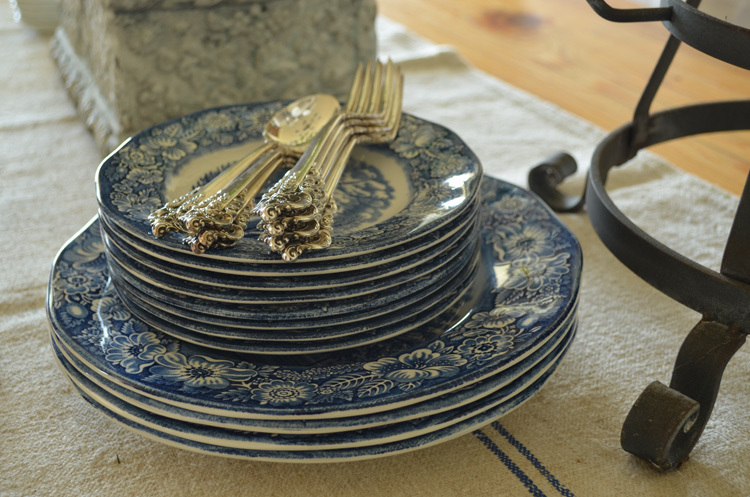 Blue and white Staffordshire ironstone, always a classic, handed down from my Mom. She actually gathered it piece by piece from our local grocery store when I was child. When I see it in antiques stores I think “sheesh, it’s not that old…. and neither am I”! 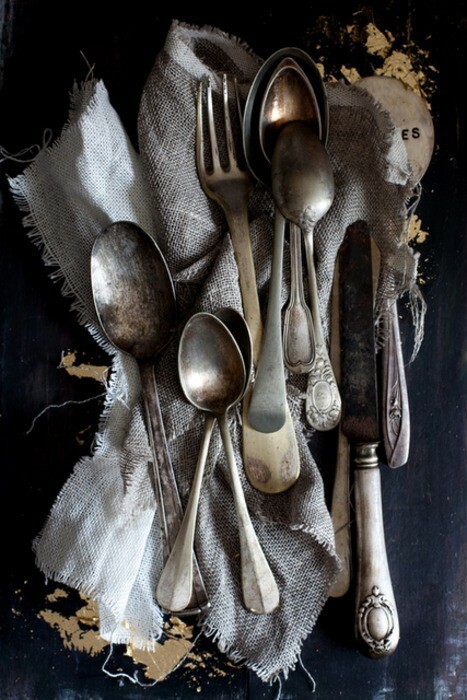 Sterling flatware. I appreciate the fact my mother thought of future generations when she purchased this, even down to the detail that the maker is my maiden name. With so many inexpensive options these days, we have lost the art of creating a heirloom to pass down to our children. The modern version of standing stones. Being an avid gardener, I like to bring the outdoors in whenever I can. 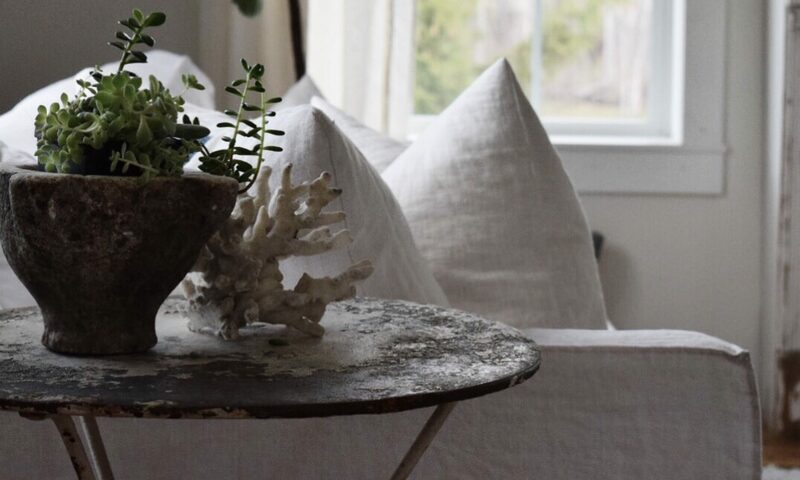 This time of year local greenhouses are abundant with blooms, and by using bedding plants in arrangements you can plant them in your yard afterwards. 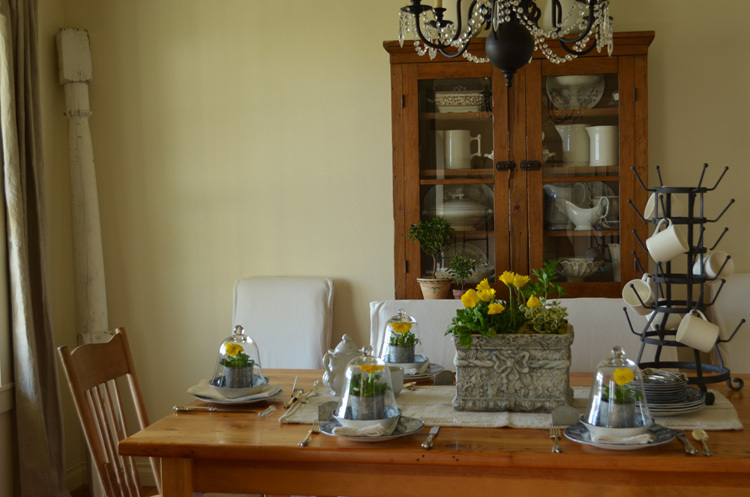 The gathering of family objects, like a mother hen gathering her chicks, evokes a sense of security, warmth and happiness. It truly is the sentiment of the tangible that reminds me of the beauty of the person. She may not be here, but that doesn’t mean I can’t celebrate her, her life and my love for her. What special items or traditions are you using to celebrate your Mother? Happy Mother’s Day to every Mom out there! Great post, Cindy. Very touching and sweet, and good reminders about thinking ahead to future generations. Way to honor your mom. Excellent. So lovely that your dishes were your Mothers! They’re beautiful Cindy as is your table! 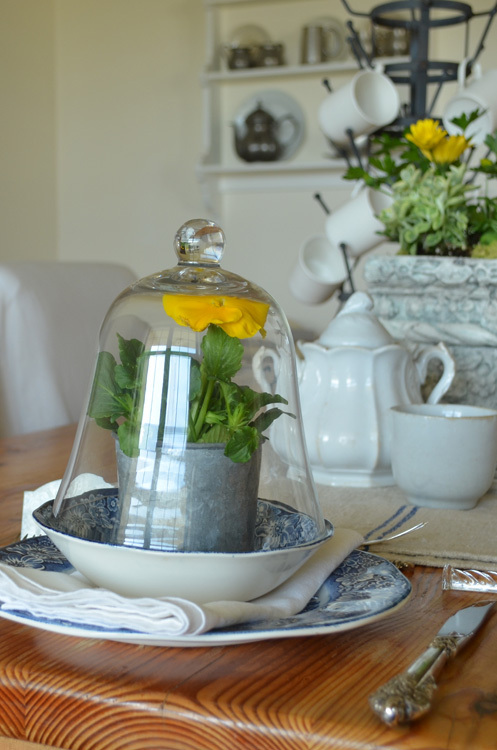 With you on bedding plants for the table that can be planted afterwards in the garden. I hope you have a wonderful Mother’s Day with your family. 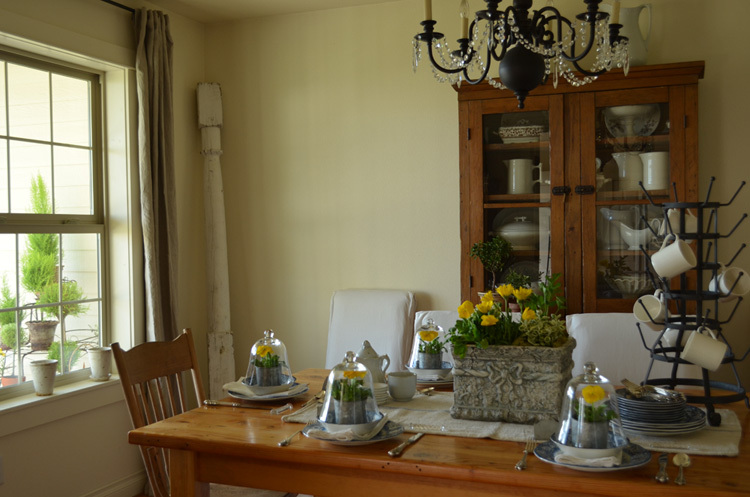 Rustic elegance that is perfect for Mothers Day! Your antique blue and staffordshire is beautiful and your grain sack is perfect. Thank you everyone for the kind words and Mother’s Day wishes! Such a beautiful setting. 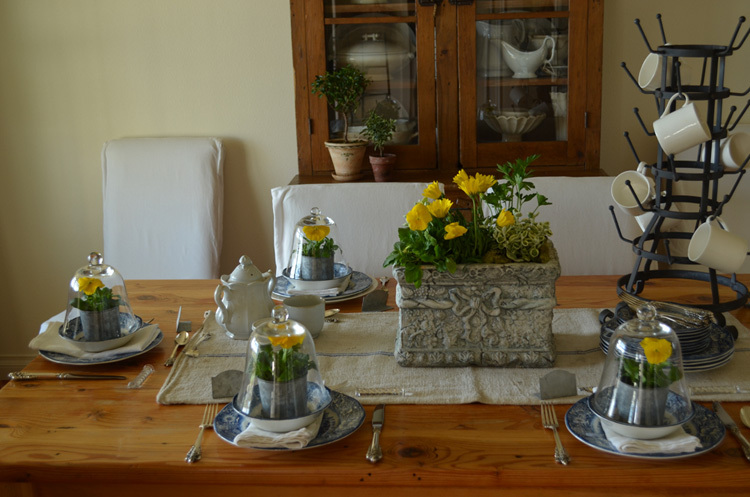 Everything from the pansies to the plates are so elegant without being imtimidating. I love it all! happy mothers day. 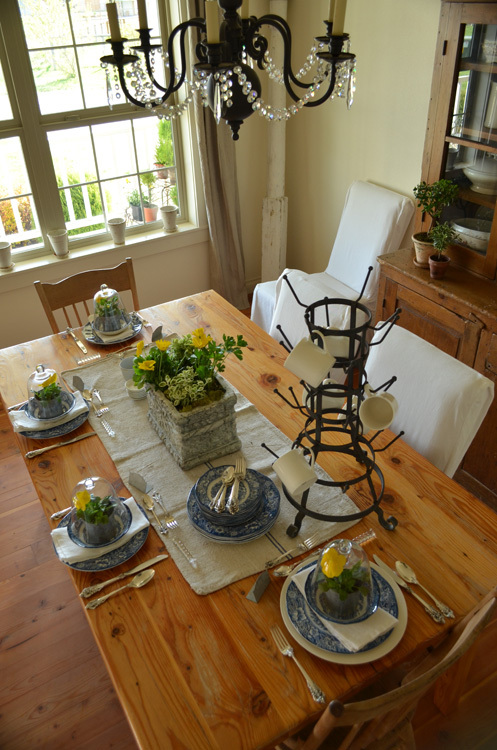 Your table is just beautiful! 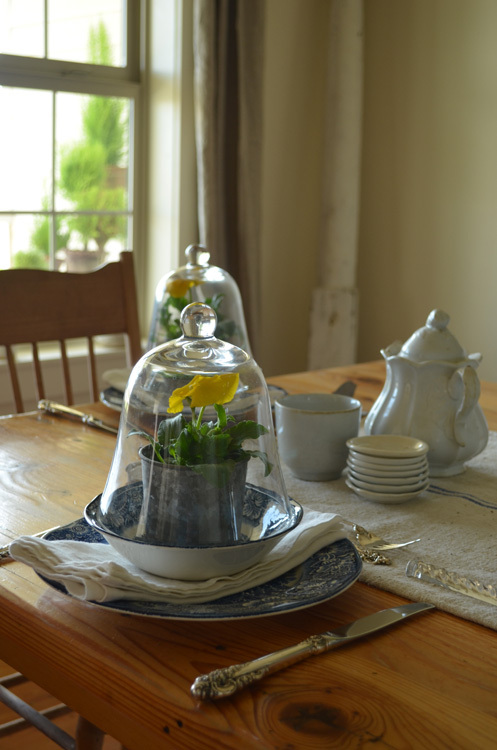 I love the cloches, runner and of course the bottle dryer! Thanks Michele, we certainly like the same style!